Skerries golf course is an eighteen-hole parkland course with undulating fairways and mature trees. It provides a magnificent panorama of see and land extending from the Mourne Mountains to Howth and the Wicklow Mountains. 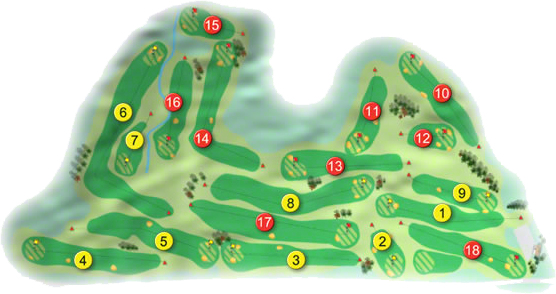 The course measures 6,107 m from the medal tees, comprises a Par of 73 and a standard scratch of 72 and offers a fair test of golf for every category of golfer. Skerries, has a magnificent new Clubhouse which provides the golfer with his/her every need. The visitor is assured of a warm welcome and a memorable game of golf at Skerries. We at the Bracken Court Hotel offer our golfing visitors a very attractive Perfect Golf Getaways: The Eagle Package: Play, Stay and Dine in Style in the luxurious surroundings of the Bracken Court Hotel. Enjoy an overnight stay in one ofour Spacious Standard Guestrooms with a delicious 3 Course Meal in our Restaurant. Also included is a Pint of your choice and a Round of Golf in your choice of our Partner Courses including Balbriggan Golf Club, Skerries Golf Club, Bellewstown Golf Club and many more... From: €129pps. Ladies 9-Hole Singles from 5.45 p.m.
Past International Maria Dunne notched the first Scratch Cup victory of the 2010 season when she defeated Louise Coffey Malone Golf Club on count-back after both signed for 161 at Royal Co. Down on Sunday 28th March 2010. In blustery but dry conditions, Victoria Bradshaw of Bangor Golf Club was one shot further back in third while Violet McBride of Belvoir Park Golf Club was best of the Seniors finishing in 6th place. Skerries Golf Club won the McDonnell Cup in 2004, when the team was, J. Larkin, D. Hamill, B. Murphy, M. McGuinness, G. Hill, D. Smith, L. McLoughlin, M. Metcalf, J. Thompson, P. McCarthy, P. Murray, P. Riordan, G. Jordan, B. Caffrey, P. Grimes, P. Counihan, F. Gallagher, D. Lannigan and T. Lacey. Maria Dunne was selected on the Leinster ILGU Team for the Interprovincial's. Played at Ballybunion Golf Club from 18th to 20th August 2004. Skerries won the Best Cup when they beat Kilternan in the Final on 13th September 2004, they won the Uden Cup when they beat Malahide in the Final on 22ndAugust 2004 and they won the McDonnell Cup when they beat Howth in the Final on the 9th August 2004. Skerries Golf Club won the All-Ireland Final of the Irish Junior Cup at Lisburn Golf Club on 11th September 2003, they beat Loughrea Golf Club in the Semi-Finals and Munster Champions Clonmel Golf Club in the All-Ireland final. The team on the day was Kingsley Lewis, David Murray, David Garrigan, Alec Dignam and Mark Justice. They were captained by Michael Neary. The Ladies of Skerries Golf Club won the ILGU Eastern District in 2003, when the team was, Mervyn Frazer, Joanne Grimes, Vivienne Donnelly, Elizabeth Williams, Kay Boland, Ailish Humphreys, Margaret Swan, Nuala O'Mara, they were managed by Ann Thompson, Rosina Berwick and Zita Devine. Maria Dunne was selected on the Leinster Ladies team for the AIB Interprovincial Championships at Mount Wolseley Golf Club on August 7 September 2002, having been selected on the Irish Junior Girls team competing in the European Lady Junior Team Championship in Moscow in July. She played on the Irish Girls' team for the Smurfit Interprovincial Championship at Enniscrone Golf Club from April 18th to 20th 2001. Jeff Hopkins was selected to represent Ireland in the European Boys’ Amateur Team Championship to be held at Klassis Golf & Country Club, Turkey on Tuesday 6th to Saturday 10th July 2010. The others on the team were Liam Harnett Milltown G. C., Stephen Barry Laytown & Bettystown G. C., Kieran Lynch Skibbereen G. C. Dermot McElroy Ballymena G.C. and Chris Selfridge Moyola Park G. C., they were captained by Liam Martin. Skerries Golf Club won the Leinster Final of the Pierce Purcell Shield in 1997, when the team was, A. Burns, C. Toye, N. McConnell, B. Sherwin, K. O'Brien, L. Mooney, E. Roche, C. Delaney, B. Shanahan, M. Ivory, R. Mulvaney, L. O'Neill, F. Kavanagh, J. McConnell, G. Hogan, R. Downey, S. Pyke, M. Coleman and F. Gallagher. Skerries won the Barton Cup in 1965, when the team was, D. Kinsella, T. P. McDonald, G. Andrews, M. Carron, B. Hoey, L. Cauldwell, C. Byrne, P. J. Griffin, N. Weldon, M. O'Hara, J. Ryan, L. Flanagan, L. Counihan, W. Mulcahy, M. Ryan and J. Bracken. They won the McDonnell Cup in 1979, 1982, 1983 and 1988. They won the Uden Cup in 1977 and 1978. They were County Champions in the J. B. Carr Diamond Trophy in 1998. Skerries won the North Leinster Mixed Foursomes in 1991, when the team was, R. Berwick, J. Murray, B. Farrelly, K. Lewis, M. Coleman, E. Breslin, J. Reid, A. Dixon, M. Coward, N. Moran, K. O'Brien and U. Sheeran they were managed by E. Lewis and P. Reid. The Ladies of Skerries Golf Club won the ILGU Eastern District in 1983, when the team was, M. Counihan, T. Ryan, B. Ryan, M. O'Leary, K. Dunne, B. Geraghty, V. Dignam, they were captained by S. Douglas. Mary Kinsella and Mary Leonard won the Daily Mail Foursomes in 1995. Joe Carroll and Milly Tighe won the Countess of Granard Cup in 1968. The Youths of Skerries Golf Club won the Leinster Club Youths Championship and were All-Ireland Finalists in 1998, when the team was, R. O'Keefe, G. Dunphy, L. O'Neill, A. Dignam and Robert Lee, they were managed by L. O'Neill. They won the Squire Ennis Trophy in 1994. The Girls' of Skerries Golf Club won the Smurfit Junior Girls Leinster Championship in 1999. Maria Dunne was selected on the ILGU Senior B squad in November 2000 and she was on the Irish Girls' team which played in the Home Internationals at Downfield G. C., Dundee, from the 15thto the 17thAugust, 2000. Barbara Ryan played for the Irish Girls in 1987. In The "Irish Field" on the 13th March, 1897, there is a record of a Capt. 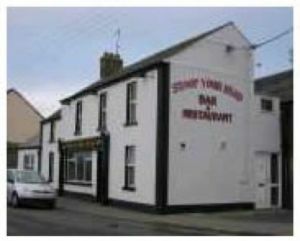 O’Dwyer having plans to introduce golf to the fishing village of Skerries, this would appear to have come to nothing. J. P. Rooney wrote in the "Irish Field" on the 10th of April, 1926 "The golf club was formed in 1905, the idea originating from Messrs. R. E. Maunsell, T. S. F. Battersby, K. C., and the late Henry Evans. The lease for the ground was obtained from Lord Holmpatrick and the, course was formally opened by him on the 14th April 1906. The first meeting was held in the home of Mr. Battersby in Upper Mount Street on the 26th of October1905. The first President was Lord Holmpatrick, the Captain was Mr. A. S. Hussey and the Hon. Secretary and Treasurer was E. H. Bailey. The committee had the foresight to engage the services of Mr. W. C. Pickman of Portmarnock and later Mr. Bancroft of the Royal Dublin, both well-known course architects, and later Mr. H. S. Colt, in 1922, an internationally renowned architect. The club purchased the land from the Holmpatrick Estate in the 1940s and then in 1971 they bought additional land from the same estate. It extended to eighteen holes the same year. In the mid 1990s, further revisions were made to the course and later a magnificent new clubhouse was constructed. While writing the history of the club, I was aware that any local history should reflect the wider history of the country as a whole. To ignore this is, in the opinion of some, to indulge in a spot of self- indulgent naval gazing. The development of Skerries Golf Club has a pattern which fits very well into the country’s social history of the 20th century. In the early 1900s, Ireland was part of the British Empire and when the club was founded in 1905, it was British in culture. The members who joined the club in those early years were seen as the Old Order and to their credit, many golf clubs, rugby clubs, cricket clubs and other sporting organisations would not have been founded so soon without their drive and energy. As against that they tended to keep the golf clubs to themselves, exclusive of the majority of the population except those few who were acceptable and wealthy enough to be able to afford the fees. The growth and establishment of a nationalist identity in the country, slowly began to change the status and outlook of the golf club. At first, it seemed to ignore what was going on, as the minutes have no reference to any outside influences other than the First World War and this catastrophic event takes up many paragraphs of minutes between 1914 and 1919. When the clubhouse was burned down in the early 20s, it is treated as an accident and no references are made to other such activities in Skerries itself. Even the fact that locks placed on the gates of the railway path, to exclude the public, were broken and removed does not get a mention until many years later. The twenties ushered in the changes with an influx of the professional classes who were Irish in character. Many of the old order simply left the club and those who remained forged an alliance with the new order, and continued to run the club in a similar manner. After the decision in 1935 to play competitions on Sundays, the old order faded away and the professional classes ran the club. It remained fairly exclusive however as is shown by the fact that prospective members had to declare their occupation when applying for membership. While this rule did not apply in the early years, the old order had its own way of establishing suitability for membership. Many of the caddies of the time, were not exactly fulsome in their praises of the newer Irish order, when it came to comparing them with the previous regime. World War 2 had only a minor impact on the club as the course was not required for food production purposes. There were some shortages in certain commodities but the playing of golf was not seriously affected. By the fifties the club was changing rapidly and over the next decades golf became a popular game for all, as people had more disposable income. The eighties and nineties have seen a huge development of golf courses throughout Ireland to cater for the demand for the game. Skerries again reflected this national trend and there has been a waiting list for membership at the club for some years. The opening of the new clubhouse in 1996 is evidence of what current members can afford to do. I have no doubt that the people who established the first golf clubs in Ireland, could not have foreseen how enormously popular the game was going to become and it would be naïve to credit them with this foresight but it is ironic that a game begun centuries ago by ordinary people for amusement (Scottish shepherds to while away the time) should, through a long process of evolution, be back to being just that. For those who enjoy statistics, I wonder, how many games of golf were played on our course over the last 100 years? How many people played with such a variety of clothes and clubs? How many caddies were there? How many golf balls (or other ‘things’) lie buried under the fairways and ditches? The lists are endless and many members will have their own particular interests. The story of our club is a human story, 100 years of people playing a game, which has generated the full range of emotions, sometimes in the same day, and which, many believe, has few equals. Betty, shut up," screamed the golfer at his nagging wife. "Shut up or you will drive me out of my mind". "That" snapped Betty "That wouldn't be a drive. That would be a putt."